Every season, there are players that capture the attention and imagination of fans – some because they anchor championship teams, others because of amazing achievements and talent, still more for inspirational stories of how they got to be where they are at the top of the game. 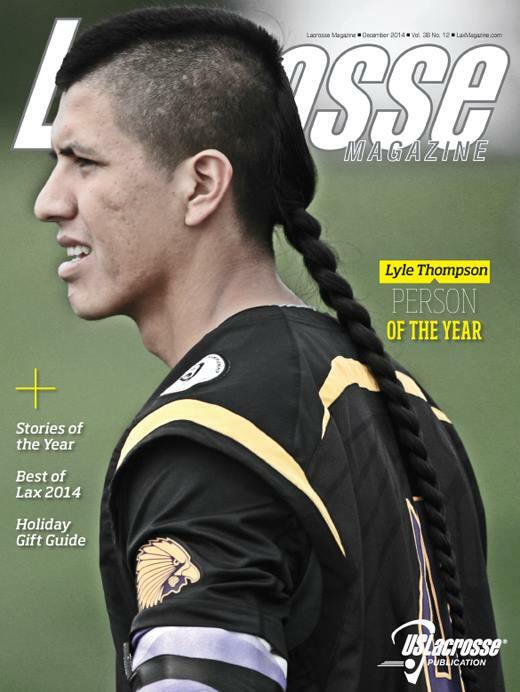 But seldom is there a player which captures the world of lacrosse the way Lyle Thompson did in 2014. A once-in-a-generation talent, the University of Albany and Iroquois Nationals star also celibrates the games roots through his heritage and has made it clear that he hopes to serve as an ambassador of its growth for the rest of his life. As the husband of a woman who coaches both the University of Notre Dame of Maryland soccer and lacrosse teams after writing her name all over the school’s record books, I’m intimately aware of the sacrifices and rewards that living the dual coach/mother life brings. Another western outpost for the game springs up in an unlikely place – Walla Walla, Washington, where Whitman College begins play under Maryland transplant Kate Robinson. The game has come a long way since I first picked up a stick in 1947. Some of the top coaches in women’s lacrosse – women like North Carolina’s Jenny Levy, Penn State’s Missy Doherty and Denver’s Liza Kelly – balance team duties with the raising of their own families. It’s a dual feat that deserves a ton of respect and an example for us all. 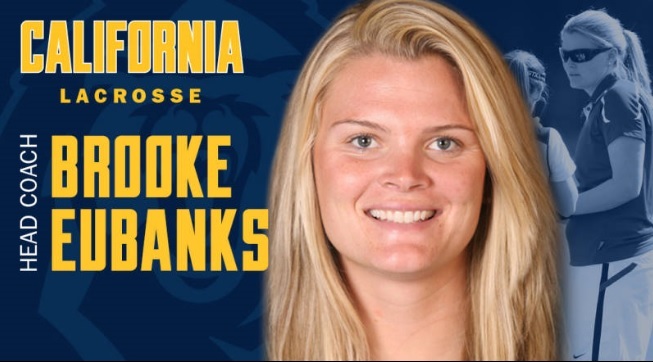 Brooke Eubanks, a long-time assistant coach at Stanford who won multiple medals as a player for the Canadian Senior National Team, has been named head coach for women’s lacrosse at the University of California, Berkeley. During her time at Stanford, Eubanks served as the team’s offensive coordinator and recruiting coordinator with responsibilities such as in-game play calling, scouting opponents and coordinating practices. With her help, the Cardinal won four Mountain Pacific Sports Federation (MPSF) championships, garnered multiple national top-10 rankings, set a school record for the most wins in a season in program history (16, 2011) and produced four MPSF Players of the Year and one MPSF Rookie of the Year. In addition, Stanford earned IWLCA Division I Merit Squad recognition in 2011. Prior to her tenure at Stanford, Eubanks was an assistant coach at George Mason from 2006-08. During that span, George Mason collected the school record for wins in a season (12, 2008) and garnered the team’s highest national ranking in school history at No. 9. Eubanks served under current Stanford head coach Amy Bokker at both Stanford and George Mason. As a player, Eubanks was a member of the Canadian Senior National Team from 2003-13, playing in three World Cups. Canada won the silver medal in 2013, with Eubanks serving as team captain. She was second on her team in scoring in the 2009 World Cup, helping the Canadians capture the bronze medal. Eubanks enjoyed a successful collegiate career at James Madison from 2002-06 where she was a four-year starter and led the squad to three Colonial Athletic Association championships. The Patriots advanced to the Elite Eight of the NCAA Tournament in 2004 and ’06. Individually, Eubanks was an all-conference second-team selection and a member of the CAA all-tournament team in both 2005 and ’06. She was also named to the 2006 Virginia Sports Information Directors’ Association All-State Team. Raised in Englewood, Colo., Eubanks is the daughter of 1980 Pittsburgh Penguin NHL draft pick Steve McKenzie and was born in Corner Brook, Newfoundland, Canada, while her father was playing minor-league hockey there. Brooke and her husband, Eric, have a daughter, Olive. What type of player do you look for–raw athlete or refined lacrosse player? Learn what college coaches are looking for in a player and the best ways to get on their recruiting radar. Get practical tips on how to stand out in today’s accelerated recruiting landscape and how this trend impacts the recruiting approach of college coaches. When Fairfield Coach Andy Copelan was a Maryland assistant, he remembers Coach Cottle saying, “If you stay the same, you get worse”. 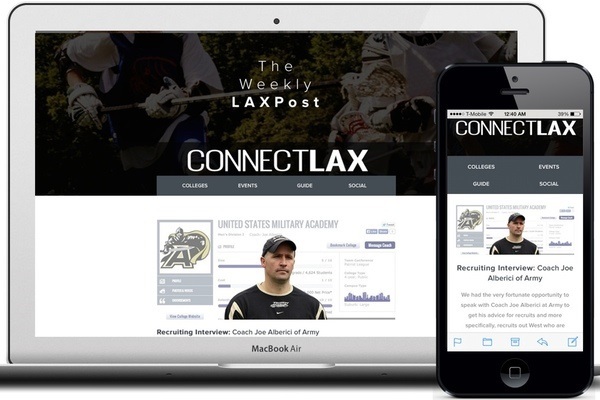 Learn how to grow your game and recruiting knowledge with the LAXPost weekly newsletter from ConnectLAX. View past LAXPost newsletters at ConnectLAX.com and find featured recruiting events to elevate or showcase your game this summer. Are you a college lacrosse player looking to learn about Digital Marketing in New York City this summer? Check out the jobs link at the bottom of ConnectLAX and spend your summer covering and playing lacrosse. With an accelerated recruiting process young players feel more pressure to commit early rather than assess all their possible college options. The question on recruits’ minds is often where can I commit to play lacrosse? Instead young players should consider asking themselves where can I find the best balance between academics and lacrosse. The best ‘fit’ for a young player will be a school that allows them to develop into a well-rounded person who reaches their potential academically and athletically. This week we caught up with Michael Caravana, the head coach of Denison University. Currently, the Big Red are 7-0 and are ranked 5th in the Division III USILA Top 20 Poll. Coach Caravana has been at the helm of the program for over 20 years and is one of the winningest coaches in college lacrosse. He draws his knowledge of the game from his playing experience at the University of Virginia, where he was a 4x All American, and from his coaching days as an assistant at Brown and an assistant for the U.S. Men’s National team. Coach Caravana believes that good players become great players when they can compete at their best on a consistent basis. This starts with preparation off the field and a strong desire to get better every day. What advice do you have for players interested in Division III schools? It’s important for young players to realize that the level of competition at the top Division III programs is similar to the competition at mid-tier Division I schools. Division III athletes may also find a greater life balance. In the offseason, there are less practices and players have time to do other things like study abroad. Ultimately, a player controls their commitment level and how much they will improve as a player in the offseason. What is the best way for players to get on your radar? Contacting a coach directly is always effective. Give the coach a highlight film so that the coaching staff can assess your game. Being a good student is important also. Coaches look at indicators like GPA and sometimes standardized test scores. What type of players do you look for, raw athlete or refined lacrosse players? It’s important to have a combination of athleticism and lacrosse skills. Being highly competitive and having the ability to play hard is great too. Most freshmen do not contribute to their teams as freshmen. But being able to compete and get better as a lacrosse player and an athlete ensures that a young player will develop into a contributing member. The ability to constantly get better is important. This starts with practice habits and preparation. Do not give your coaches mediocre effort. At the college level, lacrosse becomes AP lacrosse, not Honors lacrosse. Good students cannot expect to do well when they turn in B or B- work. Students need to turn in A or A+ work in order to truly succeed. The same goes for lacrosse. With top Division 1 programs picking their players earlier on we’re given another pool of lacrosse players. We have the ability to identify good recruits, but also find players who fit academically. It becomes less about lacrosse and more about where a student fits as a person and as a student-athlete. ConnectLAX.com helps players maximize their recruiting exposure with mobile recruiting profiles linked to their team roster. Recruits can create their recruiting profile and target list of colleges for free. ConnectLAX team recruiting helps coaches manage and promote their players. Learn more about registering your team at Connectlax.com/recruiting. ConnectLAX is a third party recruiting service and not affiliated with or endorsed by the Denison University. 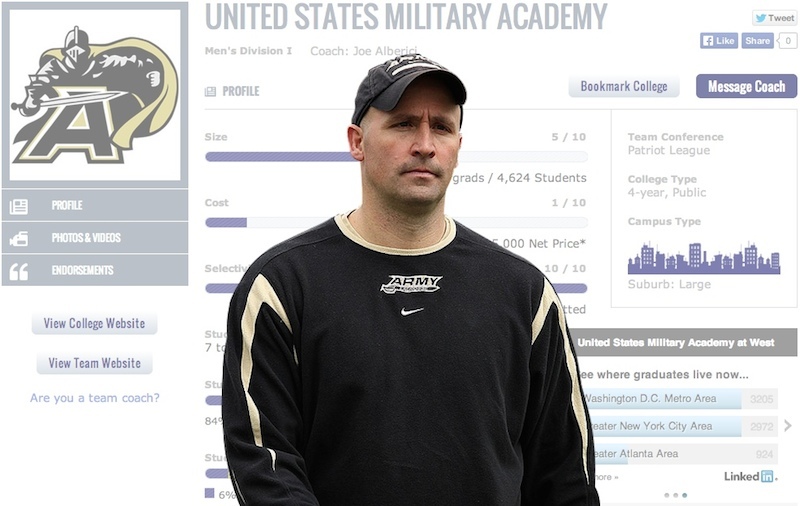 We had the very fortunate opportunity to speak with Coach Joe Alberici at Army to get his advice for recruits and more specifically, recruits out West who are looking to go East for college lacrosse. Coach Alberici has had an impressive career including coaching at Duke where he helped strengthen the Blue Devils as one of the nation’s premier lacrosse programs. In 2006, he became the coach at Army and is now in his ninth season, where he continues to man a very impressive group of student-athletes. Here’s what Coach Alberici had to tell us about recruiting and his advice for player’s eager to get noticed: be a well-rounded athlete with multiple weapons and a strong work-ethic that mirrors those abilities. 1. What advice do you have for West Coast players interested in Division I schools, which are primarily located on the East Coast? Be assertive, think of recruiting as managing your own franchise. You have to find ways to get in front of coaches eyes. It’s best to be seen live, but also keep an open line of communication with coaches. In your e-mails, be sure to include your video that highlights the skills you have which set you apart from the competition, especially your athleticism. Be specific about why you want to go to that school such as the academic curriculum. Keep in mind that coaches get hundreds of these emails, so personalization goes a long way. 2. What is the best way for West Coast players to get on your recruiting radar? One of the best ways to get on coaches recruiting radar is to go to their prospecting days. It is best to identify 1-2 schools who have their prospecting days close to each other to cut down on travel expenses. Be sure to ask the right questions about the prospecting days such as how many players are expected to be in attendance and if all the coaches on staff going to be there. These are good questions to ask because you may be playing against 50 or 250 other players and that could make a difference of you getting noticed. Use the first few lines of your email to explain who you are and the remaining 1-2 paragraphs include your contact info and references such as coaches and private instructors. 3. What type of player’s do you primarily look for, a raw athlete or refined lacrosse player? Athleticism is the first thing we take into account and some “thing” that stands out from the rest of the players, be it stick skills, hustle or tenacity. In your highlight videos, be sure accentuate those skills. A DI guy has a good mixture of drive, skill, and character along with people to reference all of that. 4. What areas of player development would you recommend West Coast players focus on to compete on the East Coast level? My best advice is to get the stick in your hands as much as possible and compete with players a level or two above you. Play adult leagues. Playing against older and more experienced players will wear off on you and force you to get better through “osmosis.” Also, don’t just go through the motions while playing, be an active learner, ask questions and learn specifics from experienced players and try to emulate their skills. Seek out the guys who have done it and pick their brain. To play with this kind of competition you may need to travel a little, depending on your area, but that doesn’t necessarily mean you have to join a travel team, just do your homework. 5. How has the accelerated recruiting landscape impacted your approach to recruiting? It’s difficult to see everyone when they’re young, it’s just part of the landscape. There are still a lot of great players and late-bloomers who may have been missed, so we keep spots open for that. We are going to recruit nationally regardless, we aren’t locked into any particular areas. ConnectLAX.com helps players maximize their recruiting exposure with mobile recruiting profiles linked to their team roster. Recruits can create their recruiting profile and target list of colleges for free. ConnectLAX team recruiting helps coaches manage and promote their players. Learn more about registering your team at Connectlax.com/recruiting. ConnectLAX is a third party recruiting service and not affiliated with or endorsed by the U.S. Military Academy. 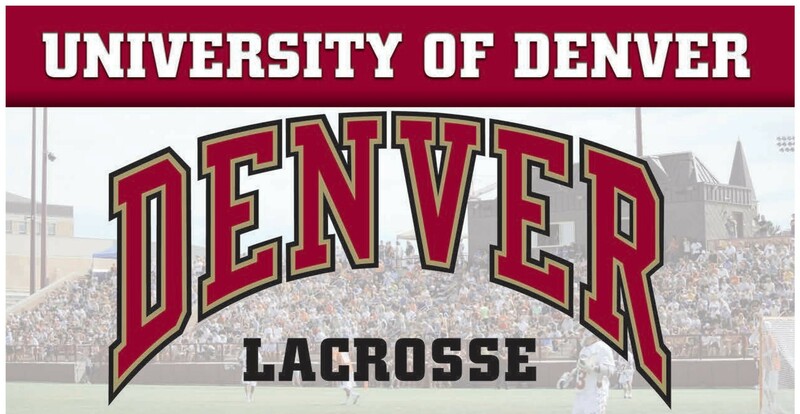 The University of Denver women’s lacrosse team welcomes seven new faces to the program this year to help replace five graduating seniors from last season. Molly Danko – A midfielder from Baltimore, Danko comes in with three years of experience with The Bryn Mawr School. Danko has been honored with numerous awards during her high school career, including being named to the 2013 Balimore Messenger Girls All-Star Lacrosse Frist Team and the 2013 Towson Times Girls All-Star Second Team. Additionally, Danko played in the 2012 Under Armor Underclassmen Games. Outside of lacrosse, Danko played four years of field hockey and basketball in high school, leading her team to the IAAM A Conference Championship and Final No. 1 ranking in the state of Maryland in 2009. Hunter Gray – A defenseman from Mount Laurel, N.J., Gray becomes a Pioneer after playing four years of lacrosse at Lenape High School. Gray is a two-time recipient of the All-South Jersey First Team and All-Conference First Team. Gray was also honored as a member of the All-County (Burlington County) First Team in 2012. Additionally, Gray played field hockey in high school, earning All-Conference Second Team. Ellie Knott – A midfielder from Baltimore, Knott enters DU after playing four years at The Bryn Mawr School. Knott chose Denver for its strong academics and competitive athletics. Knott also considered Boston College, James Madison, Virginia Tech and Virginia for lacrosse. In addition to lacrosse, Knott played four years of field hockey. Nicole Martindale – At attack from Brooklin, Ontario, Martindale led the Lady Blue Knights club team to six Provincial Lacrosse Championships. Martindale was named to the Syracuse Nike Cup All-Star Team in 2011 and 2012. Martindale also played ice hockey in high school, leading her team to three Provincial Hockey Championships. Sybil Pallace – A midfielder from Baltimore, Pallace led Mc Dough High School to four undefeated seasons and the No. 1 ranking in the nation. Pallace played seven seasons for the Skywalkers club team, winning the Charm City Tournament. Pallace also played soccer, tennis and basketball in high school. Maddy Stevenson – A goalkeeper from Bainbridge Island, Wash., Stevenson led her team to a pair of Washington State Championships in 2011 and 2012. Additionally, Stevenson earned All-State First Team in four-consecutive years from 2010-13. Stevenson also played four years of volleyball in high school as an outside hitter. Layne Voorhees – A midfielder from Alexandria, Va., Voorhees comes to DU after playing three years at St. Stephen’s & St. Agnes School. Voorhees helped her team to three-consecutive VISAA State Championships from 2011-13. DU finished the 2013 season with an 18-3 record, beating Jacksonville 14-7 in the NCAA Tournament first round. Denver went undefeated at home and had a perfect 8-0 record in the regular season against Mountain Pacific Sports Federation teams. The Crimson and Gold opens its 2014 schedule against Colorado at Peter Barton Lacrosse Stadium on Wednesday, Feb. 19 at 3 p.m. Additionally, Denver will host the 2014 MPSF Tournament from May 1-3.